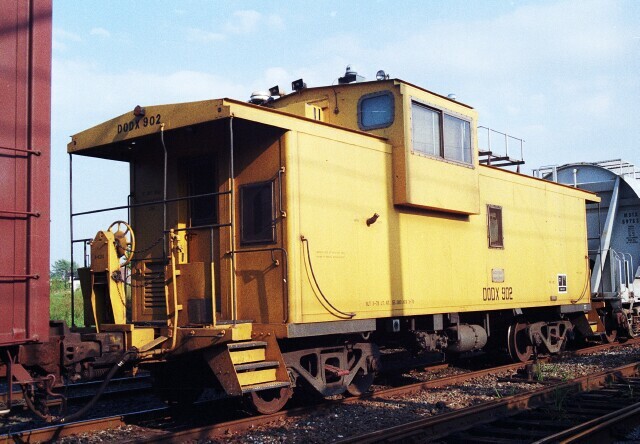 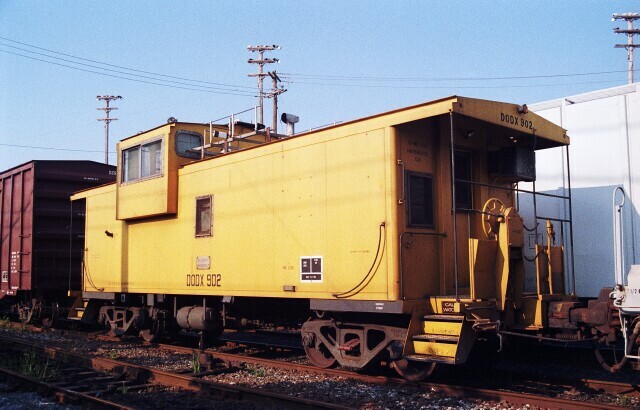 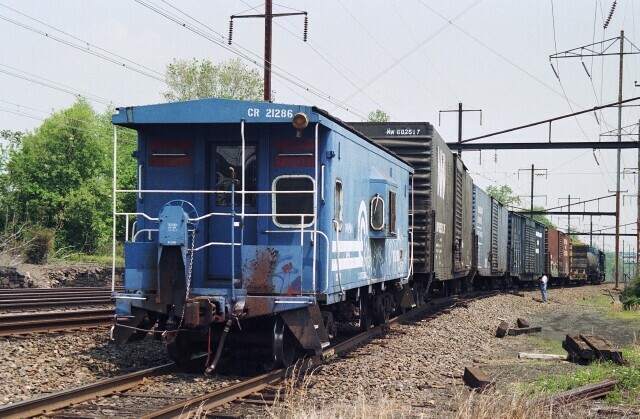 Before the advent of shoving platforms, Conrail trains operating on Amtrak's Northeast Corridor usually had a caboose (aka cabin car in PRR parlance) for crew protection during shoves. 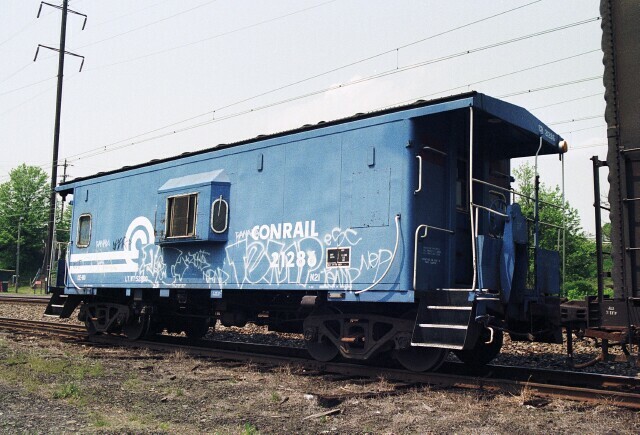 Here Conrail Class N21 caboose 21286 is found on the tail end of Conrail local FJ-10 on the Eddington siding. 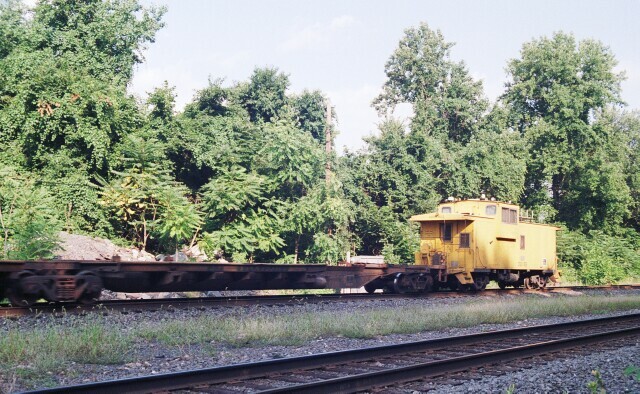 A caboose on a freight anywhere else around here was an exception, so when this caboose popped up at CP Norris on a run from Philadelphia to NS Abrams Yard, it was a surprise, and coupled up to intermodal cars is an added bonus. 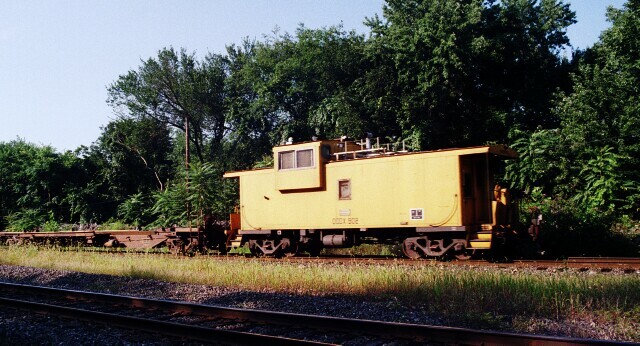 A couple days later and DODX 902 showed up in Lansdale, heading to Tank Car Corporation of America in Oreland PA for either inspection or to have some work done.